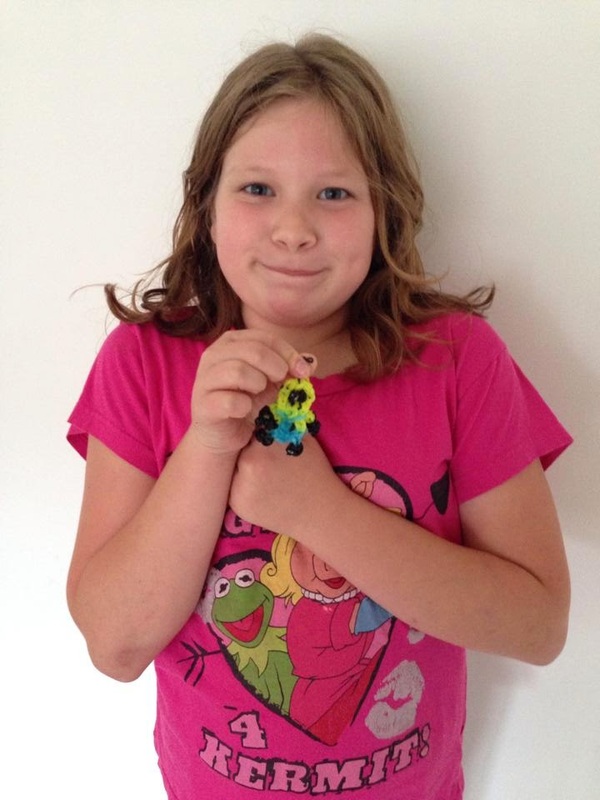 Mum of Five Staying Sane: REVIEW POST; Rainbow Braid loom bands 5400 piece refill kit. Perfect to make so many wonderful loom band creations. 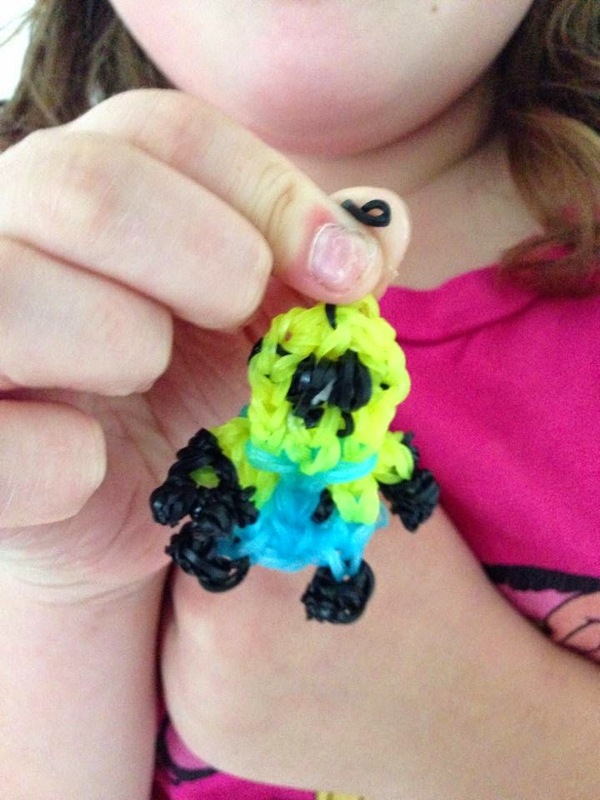 REVIEW POST; Rainbow Braid loom bands 5400 piece refill kit. 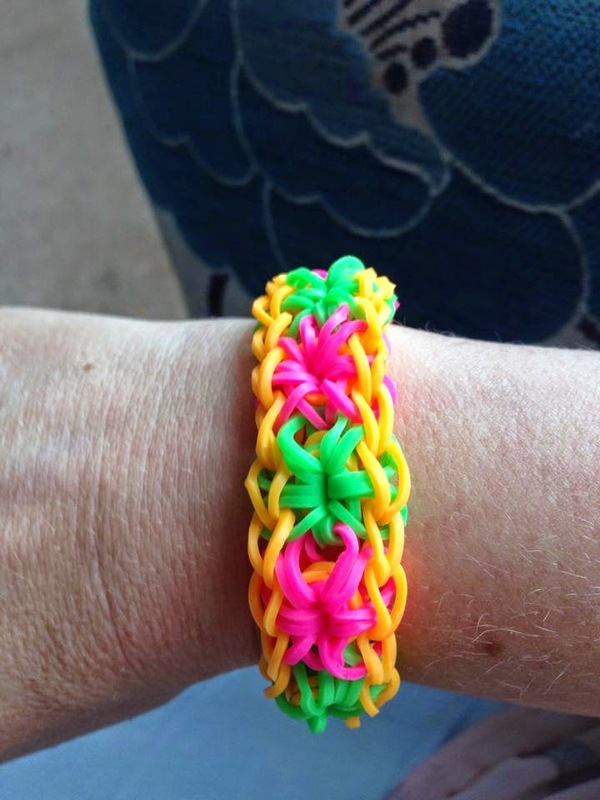 Perfect to make so many wonderful loom band creations. Wow, 5400 loom bands. My children were in loom band heaven! Starting their loom band creations. I had been buying small packs of loom bands for them and each time I bought them I thought to myself that 200 loom bands in a pack would keep them quiet for a while. However by the time you gather up the colours you need for whichever creation you are making you soon run out. As the loom band craze hit I seemed to be forever having to go and buy more and more packets but in the local shops I could only ever buy the packs of 200 in each colour. I was also then having to make the decision of which colours to buy them that they could make the most things from that wouldn't leave them limited on what to make, or arguing over a particular colour! 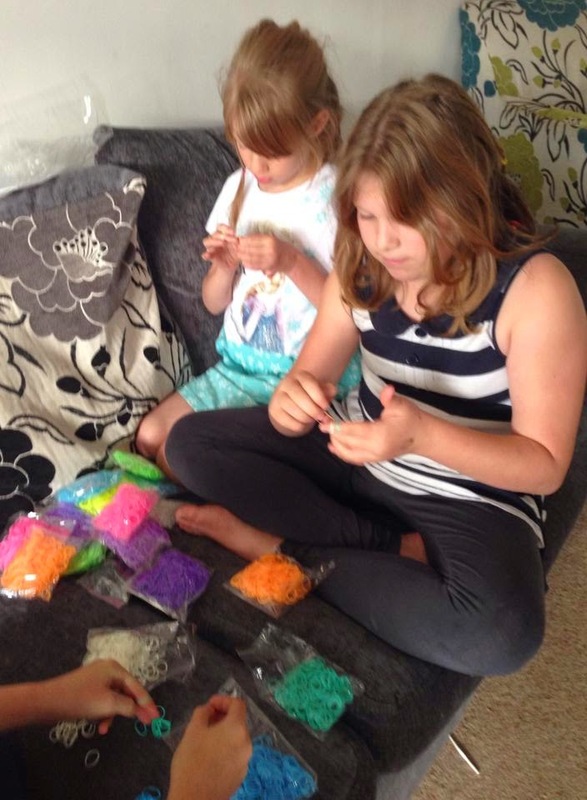 We were sent a pack of 5400 Rainbow Braid refill kit loom bands to try out. My children loved it and set to work straight away. Loom bands are the one thing at the moment that they will sit and work at for ages. They started off with the basic loom band bracelet design and then moved on to more intricate bracelet patterns. Then my eldest daughter started following instructions online for other things and we ended up with snakes, minions, ice lollies and more! Instructions can be found online for so many different things, I do find some of the more intricate bracelet designs very pretty and in particular colour patterns they can look very effective. 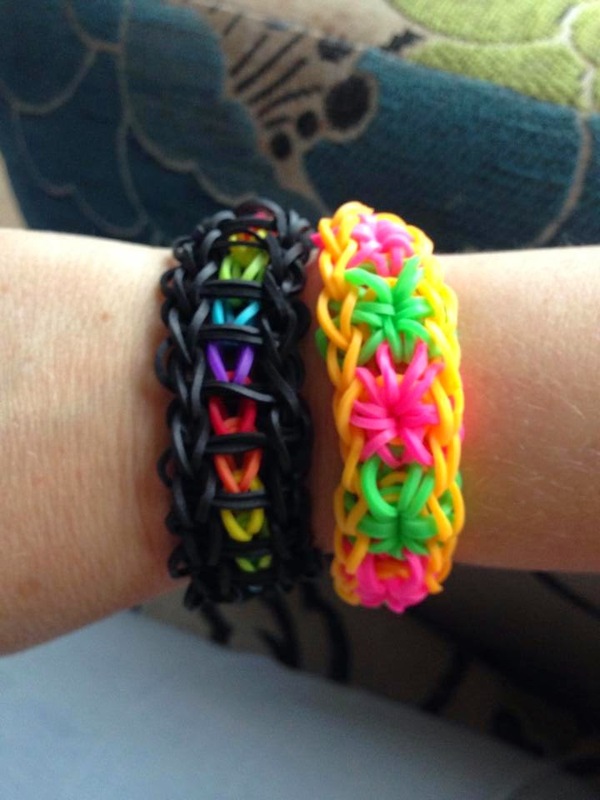 A couple of their loom band bracelet designs and different colours. Included in the 5400 loom band kit is 18 packs of 300 of each colour. Solid colours in red, white, purple, turquoise, black, light blue and dark blue. Fluorescent colours in yellow, green, blue, pink, orange and purple. Glitter colours in pink, blue, purple, orange and green. With a choice as vast as this the children were spoilt for choice when it came to making all of their loom band creations. The kit was amazing, they could find the colours they wanted without arguing over running out of a specific colour too quickly. There was so many choices of colours that they weren't limited on what they could make either so the creations they made were endless. Thing 2 with her loom band Minion creation. So effective and she was very proud of what she had made. This refill kit is fab and an amazing price too. Ideal to keep their loom bands stocked up or as a Christmas present, which is fast approaching. My daughters are still making loom band creations now and we haven't had to buy any more loom bands for quite a while. Dad also got involved on the loom band making. Everyone really enjoyed making lots of wonderful things from this fab kit and will continue to do so for a long time to come. 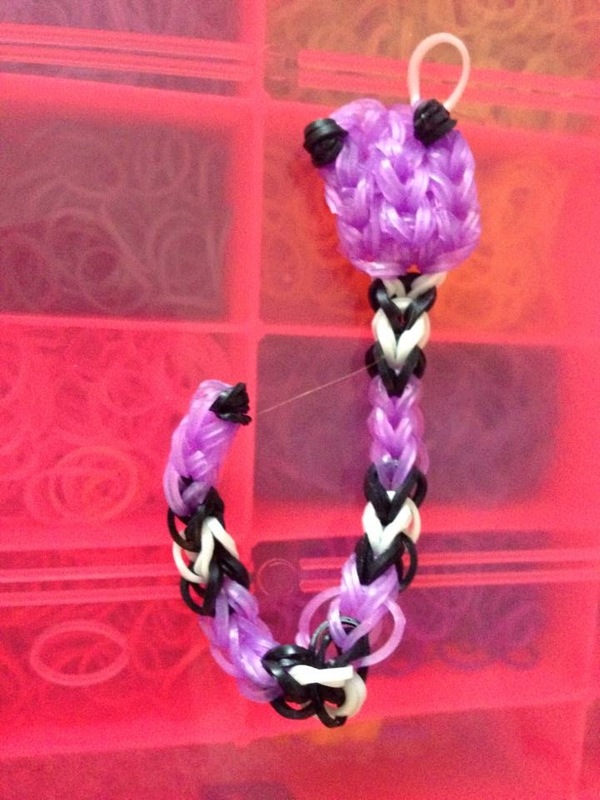 A loom band snake in purple with black and white detailing. These are so cute and you can make them longer too. 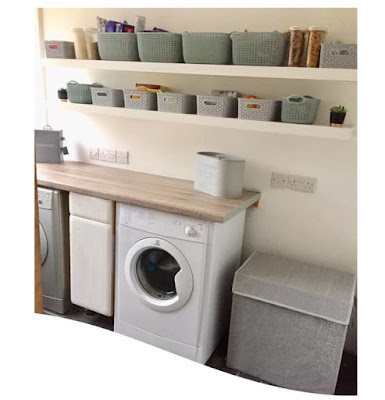 They already had the loom band board and the hooks so were all set up with the pieces they needed to make the various creations so the refill kit was a fab addition to the pieces they already had. There was no need to buy another full kit with loom bands in. Our overall verdict is this a fab, fab set with a huge quantity of loom bands that will keep the creations coming for a long time. Available on Amazon.co.uk here; 5400 BAND MEGA RAINBOW BRAID LOOM REFILL KIT at a fab price. Go and get them now.